The vast majority of my time in Australia on the grass clippings global tour has been in Sydney. However, Melbourne, while a bit smaller, is better known for its music scene. A few weeks back, I flew down for the weekend and met up with one of Australia’s only bluegrass bands. While the folk and indie rock scenes all over the country have an active fan base, Aussies are not big fans of twang (and they really like pop a lot). 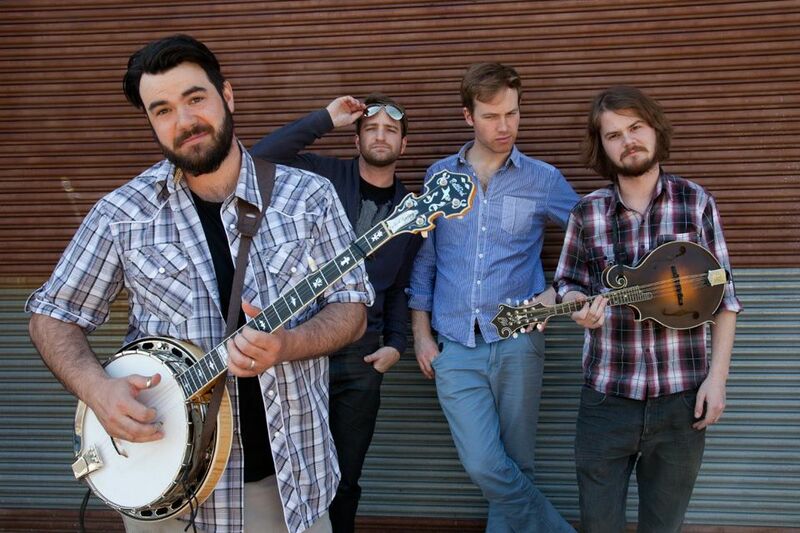 Melbourne-based Mustered Courage is a four piece “alternative bluegrass” band formed in 2010. The band is three-fourths Aussie and one-forth part Texan (banjoist and vocalist Nick Keeling comes from Austin). Following their self-titled release back in 2011 (Amazon MP3 & Spotify), the band won critical acclaim and widespread recognition in the Australia mainstream media. Soon after, they performed at a string of major music festivals across the country. On Easter weekend, the band will perform at the National Folk Festival in Canberra, and in May, they’ll release their new album, Powerlines. Musically, Mustered Courage has outstanding talent. Each of the four could easily make festival music snobs smile with their solos. While they do mix it up a bit (i.e. a bluegrass rendition of Seal’s Kiss From a Rose), the band is mostly traditional in style. Thus, their audience tends to be more of an older and country crowd – not something you’d expect from a group of young guys in a large city. “We still haven’t won a big hipster following,” guitarist Julian Abrahams told me. Vibe wise, band has less of the “too cool for school in skinny jeans” thing going on and more of “we’re badass musicians and that’s what we’re about” kinda vibe. Still, Abrahams is hopeful that the new album will broaden the audience out a bit. Here’s “Madeline” off the band’s self-title record and “Standing By Your Side” and “Cruel Alibis” off of the forthcoming album due out May 10th.